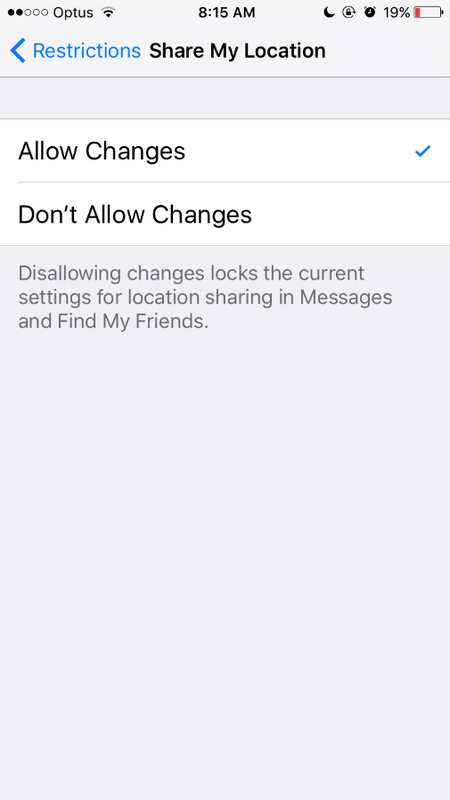 Check, if the "allow changes" was ticked in settings and still it didn't work. 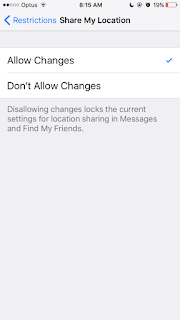 Then disable restrictions in settings and the location services should allowed to turn it off as it should no longer be greyed out. Then you can reset my restrictions and everything was back to normal. Go to Restrictions > Share My Location. change it to Allow to change "Allow Changes". then go to Privacy > Location service. you will find it enabled to change. Some users found the problem dut to setting of Night Shift to off; my guess is the engineers linked Night Shift to a roving world clock instead of whatever time is set on the individual product, perhaps to get the EXACT time right in case you have Night Shift activated for sunsets.